Broadcast Technology is the largest Online Media resource that caters in servicing by advertising and marketing of Supplier products through various modes like Email promotions, Event Promotions, Profile Listings, Online Branding and Banner Advertising. 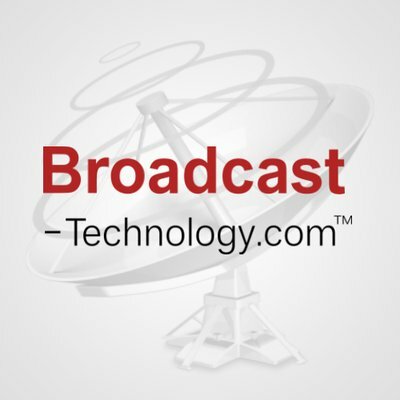 Broadcast Technology is a unique platform that showcases the latest updates through News, Press Releases, White Papers, Interviews and Reports. Established in 2002, the platform services the industry needs. Clients are pioneers in their respective sectors and have been key associative in our growth story. Media agencies associated with us get benefited with the utmost service. Dedicated online Business to Business [B2B] platform for Broadcast Technology which provides Businesses to Advertise, Market and Publish their Services. We have been in the industry globally for over 11years and going strong with a ubiquitous influence in web media. In Broadcast Technology we deliver the clientele the required necessary support in-terms of marketing to build their Businesses by bringing the buyers closer to them. Broadcast Technology has evolved itself to gain a unique reputation of building Subscriber base of over 60,000, Registered Buyers consisting of 35,000 and monthly traffic more than 220,000. Our vision is to grow high in media marketing, build the trust between the supplier and buyer in choosing the right product.